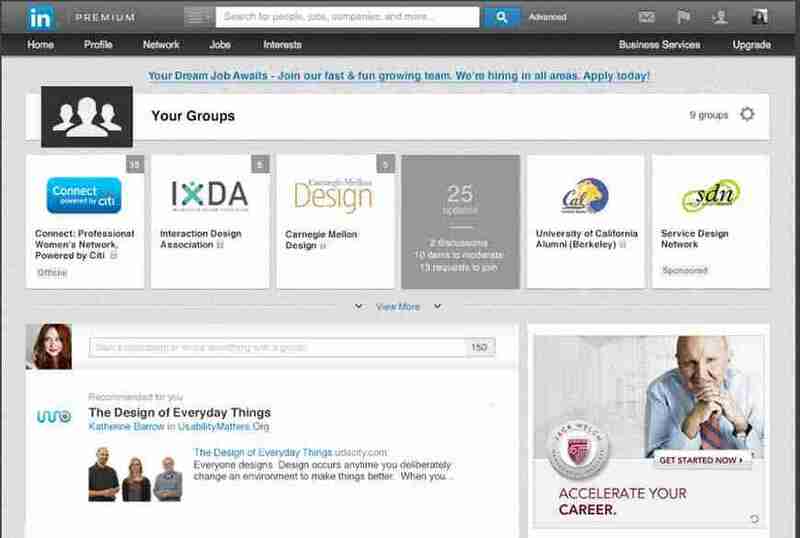 LinkedIn is in the process of rolling out a new look for LinkedIn groups. On August 23, 2013 LinkedIn launched an updated “LinkedIn Groups” layout, adding a top-level redesign with a “beautiful new look and feel”. To get started, simply select “Interests” from the menu at the top of your LinkedIn Homepage, then “Groups.” This new Groups landing page makes it easier to stay up-to-date on what’s happening in groups you manage or are a member of — making your time spent on LinkedIn and in LinkedIn Groups, more productive. People like more than well-crafted killer copy; they love the visual appeal of a well-chosen eye-catching banner image. LinkedIn for Business will guide you through the entire process of establishing your Company Page, professional profile on LinkedIn, and help you get it fantastic the first time around. Additionally, read more about LinkedIn’s new home page redesign. At the top of the page, you’ll see all of your current groups in one place. If the group has new activity, you’ll instantly see the number of updates, new discussions or job postings within that group when you hover over it. We’ve also made it possible to start or join a conversation in any of your groups directly from this page. New to groups? We’ll help you get started by suggesting relevant groups you can join today. They’ve also added a new conversation feed to give you a quick peek at conversations that took place since your last visit, making it easy for you to quickly jump in. Below is an image of how you will see a quick overview and how you can respond to ongoing conversations you are a part of. This is so much easier and more efficient!! 1. Be thoughtful: Starting and participating in conversations within LinkedIn Groups is easy. Ask thought provoking questions relevant to the interest and intent of the group to generate an engaging conversation among members of a group. 2. Be helpful: Groups can be a great way to showcase your expertise on a subject matter – so wherever you can, provide insightful answers that can really help another member. If you’re sharing an article, it’s helpful to provide context on its relevance to the group to guide the discussion or just get things started. 3. Be relevant: Groups are a great way to boost your professional brand on LinkedIn, network with leaders in your field and capture the attention of potential recruiters, employers or business partners in your field — but remember to focus on sharing content and questions that aren’t self-promotional in nature. There is far too much spammy self-promotion going on in groups! LinkedIn groups are a remarkably powerful aspect of LinkedIn. 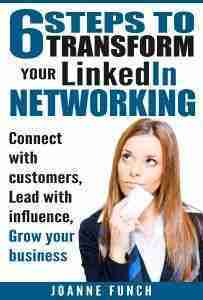 Many LinkedIn users fell it is the leading feature of LinkedIn: the world’s most resourceful network. Many individuals build their entire business and market an array of products and services, sell out tickets to their paid events, and become niche leaders within a single LinkedIn group. Whether B2B or B2C, individuals enjoy participating in community life, or a “Tribe”, as Seth Godin puts it. The greater your achievement is at successfully bringing like-minded people together, the more you will be appreciated for doing so. Personally, I like the new look for LinkedIn Groups – it is nicely streamlined, making discussions and comments more prominent and useful. 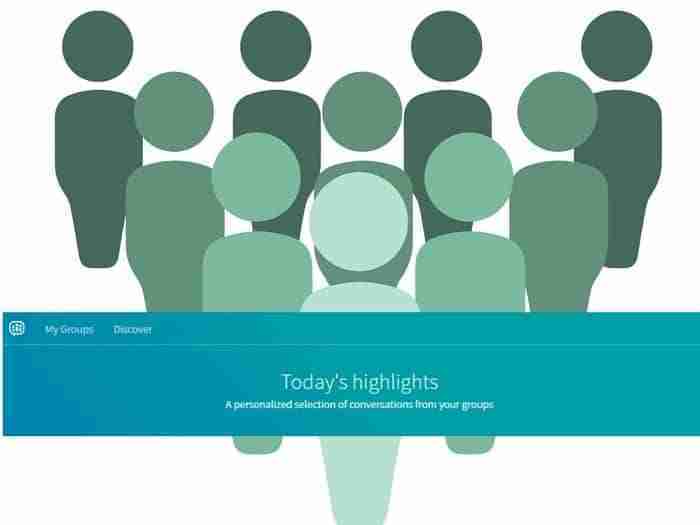 Since LinkedIn Groups Page updated with new visuals, you can take your brand to a new level. To discover new ways to choose what to populate your header image with, you can check out how others are using this feature. Or learn how to stay …. Typically we see in almost all group owners, they seem to harvest bonus points due to starting a group, therefore the result is having more connections than the average LinkedIn user. Call us for guidance on how to start a LinkedIn Group. I don’t find this an improvement at all. It seems to put equal weight on all updates whereas in practice there are just a couple of my groups that I want to see as a priority and the rest can just be picked up when I have time. The icons are far too big and waste screen real estate, and the need to “view more” simply adds an unnecessary click. Please revert, or at least give us the choice. thanks for your comment, I do appreciate a different point of view and don’t disagree with the size of the icons. There will be more changes to come so stay tuned!